From the internationally bestselling author of The Reluctant Fundamentalist, the boldly imagined tale of a poor boy's quest for wealth and love. His first two novels established Mohsin Hamid as a radically inventive storyteller with his finger on the world's pulse. How to Get Filthy Rich in Rising Asia meets that reputation, and exceeds it. the astonishing and riveting tale of a man's journey from impoverished rural boy to corporate tycoon, it steals its shape from the business self-help books devoured by ambitious youths all over "rising Asia." It follows its nameless hero to the sprawling metropolis where he begins to amass an empire built on that most fluid, and increasingly scarce, of goods: water. Yet his heart remains set on something else, on the pretty girl whose star rises along with his, their paths crossing and recrossing, a lifelong affair sparked and snuffed and sparked again by the forces that careen their fates along. As you lie motionless, a young jaundiced village boy, radish juice dribbling from the corner of your lips and forming a small patch of mud on the ground, it must seem that getting filthy rich is beyond your reach. But have faith. You are not as powerless as you appear. Your moment is about to come. Yes, this book is going to offer you a choice. Decision time arrives a few hours later. The sun has set and your mother has shifted you onto the cot, where you lie swaddled in a blanket even though the evening is warm. The men have returned from the fields, and the family, all except you, have eaten together in the courtyard. Through your doorway you can hear the gurgle of a water pipe and see the flare of its coals as one of your uncles inhales. Your parents stand over you, looking down. Tomorrow your father will return to the city. He is thinking. "Will you be all right?" he asks you. Why do you think the author chose to write this novel not only in the second person but also in the form of a selfhelp book? What effect did these choices have on your experience as a reader? How does the transition from rural to urban life affect the family? What challenges does it alleviate for them, both individually and as a unit, and what new challenges does it create? What first intrigues the hero about the pretty girl? In what ways does her rise paralleland diverge fromhis? Were you surprised by the course of their affair? Why do you think the author chose to give it this form rather than craft a more conventional romance? What does the book ultimately have to say about love? The second person “you” is hard to read, although talented writers like Junot Diaz have done wonders with it, and Hamid’s usage of “you” feels especially appropriate for this biting story. The “you,” Hamid seems to say, encompasses every individual in rising Asia. (Reviewed by Poornima Apte). Hamid's choice to write a bildungsroman wrapped inside a self-help manual is an inspired one… Hamid has left us with no doubts about how state and market, law and crime, nation and corporation, and money and violence go together - in rising Asia as in the rest of the world. 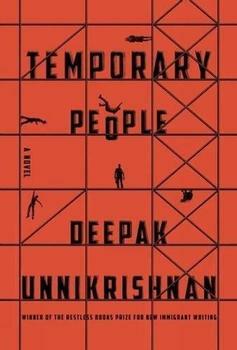 Working within the frame of a self-help book would seem constricting at best, annoying at worst, but Hamid tells a surprisingly moving story…His protagonist is never named, indeed, there aren't any named people or places in this novel…But the story manages to be both particular and broad at the same time. Written in the most compelling second person since Jay McInerney's Bright Lights, Big City, with which it also shares a sharp take on our frenetic, urban lives, Hamid's novel proves that the most compelling fiction today is coming from South Asia. An astonishing and riveting tale of a man's journey from impoverished rural boy to corporate tycoon. With How to Get Filthy Rich in Rising Asia Mr. Hamid reaffirms his place as one of his generation's most inventive and gifted writers. A joyously barbed satire on entrepreneurialism and the juggernaut of globalisation… Will be one of the standout novels of the year. Hamid offers a subtle and rich look at the social realities of developing countries, including corruption, poverty, and how economic development affects daily life from top to bottom. Starred Review. Another great success for Hamid and another illustration of how richly the colonial margins are feeding the core of literature in English. A dazzling stylistic tour de force; a love story disguised as a self-help guide, freighted with sly social satire. As timely and timeless a novel as I've read in years.